I am very interested in the right to die with dignity movement. 5 states allow death with dignity. This means that a competent adult can get a pill that will help him/her die. The Netherlands, Belgium and Switzerland go even further. 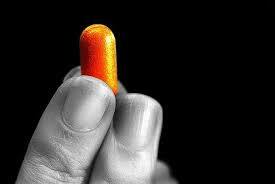 If you have severe psychiatric issues, you can be given a pill that will help you die. Severe loneliness seems to play a major role in the cases in these countries. You can just go into a clinic that is established for this exact purpose to get the pill. You are not required to see your doctor or a doctor who knows you even a little bit. You have to wonder if these countries are going too far…….. It is quarterly time. For those of you with Trusts, this means please take some time to be sure all of your assets are talking to the Trust. If you are married, your Trust should be the secondary beneficiary on retirement accounts and life insurance, most of the time. For you single folks, the Trust should be the primary beneficiary of those assets, most of the time. For most of you, bank accounts and non-retirement investment accounts should name the Trust as primary beneficiary. If you have Wills, please be sure you have beneficiary designated all of your assets, including your house. This way, you can avoid probate. I do several presentations each year and hope to do several more in 2016. If you need a brown bag speaker or speaker for a group you belong to, please keep me in mind. I do not charge for the presentation. Thanks for your reminders. And yes, while agree that people in terminal situations and in never-ending pain should have the right to end their life with dignity, those countries have gone too far.